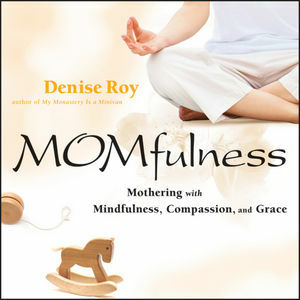 Denise Roy combines the hard-won wisdom of a parent with the insights of meditation to create a spiritual practice that goes to the heart of everyday life: mothering with mindfulness. Through anecdotes, reflections, and specific practices, this book invites mothers to wake up and embrace their lives, discovering that they are always standing on holy ground. Denise Roy is the author of the award-winning My Monastery Is a Minivan and is in private practice as a licensed marriage and family therapist. Visit her Web site at www.DeniseRoy.com. I See Me in Your Eyes. The Ideal vs. the Real. When Someone Deeply Listens to You. Seven Nights in a Row. The Sacred in All Things.